Barefoot with Champagne: Crazy Bachelorette Party Weekend! 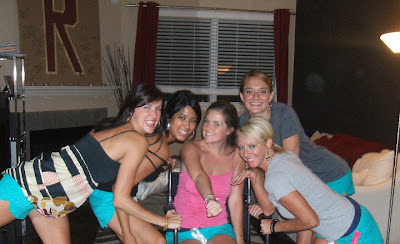 This past weekend I road-tripped down to Dallas to celebrate Ashley's Bachelorette Party! Here's a little re-cap for ya! I may have begged to go to the W (where GaGa was staying) with BIG plans to teach her the new dance move in an attempt to get famous. We got locked out of Beth's apartment Friday night and feasted on McDonald's on the floor in the hallway. I introduced Kurtz to washing your feed before passing out, you really do feel better the next day! Remnants of nuggets and fries were everywhere the next morning. Illegal "outside" drinks were made in the bathroom at the ZaZa pool, what do they expect when they charge $10 a mimosa?! Attempted stealing a beach ball from the pool... pool bouncer dude was a jerk. Ashley got some fun lingerie and we dominated some champagne. Me: All these blow up dolls are expensive... Do you have any cheaper ones? Sales Lady: Um no, we don't have any cheaper men but we have a sheep. Sales Lady: A sheep, like the animal. Me: (thinking: holy what? People are FrEaKs!) um ok that's not really what I'm looking for. Cut to me calling Spencer Gifts - Do you sell blow up dolls? Yes. Great, what's the cheapest one you have? $20. Ok, and it's a guy? Yes. Great, on my way. We had some absolutely delicious sushi Saturday night at Deep Sushi. Received many dirty looks for having a blow up doll in a restaurant while it was still daylight..
Julia was told her necklace was Fabulous! To which she replied, "I love the word fabulous!" We attended a super fun Drag Show! 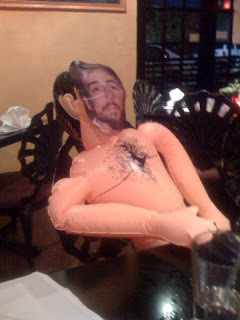 Blow Up Doll, Kyle was taken on stage by a drag queen to which she asked, "Is this Jesus?" A drag queen did her best Rhianna impression, I'll never hear Rude Boy without thinking of her from now on! 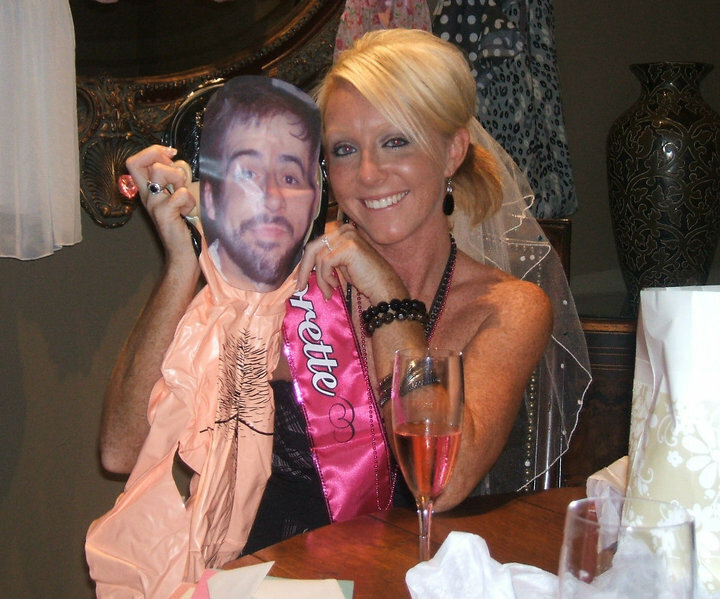 All in all it was a very successful Bachelorette party! We had a lot of fun dancing and being girls! Can't wait for the wedding in 2 weeks to reunite with everyone!